Welfare and Compensation Refresher training is now conducted as on-line training via the TIP E-Learning modules. These courses can be completed at any time throughout the year. Upon successful completion of the on-line modules, you will be deemed to have completed refresher training. Normal course nomination process applies. Has anything been done to make CLIK compatible with Windows 7? CLIK in its current form is not compatible with 64 bit versions of Windows XP, Vista and 7. There are some methods to overcome this with compatibility mode and also virtual machines, however these are typically not methods for the average computer user and hence have not been tested. For the moment, CLIK will continue in its current form and existing problems in accessing it are unlikely to be resolved. DVA has put considerable effort into enabling CLIK to be viewed from the DVA internet site and providing detailed information about doing so. As this version of CLIK uses Citrix technology it is able to be viewed on most typical computing systems. A project has been initiated to investigate options for converting CLIK to web format, however it is too early to say how that will go, nor when an outcome can be expected. Updating to 64 bit Windows XP, Vista or Windows 7 will mean a lack of compatibility with the latest CLIK disc being circulated. (These SoPs revoke the SoPs previously determined for this condition). All of the above SoPs will take effect from 2 November 2011. This decision was made on the grounds that this SoP was amended (46/2010) on 25 February 2010 in similar terms to the above amendment (122/2011). A Declaration of the decision will appear in the Government Notices Gazette of 2 November 2011. Still some vacancies available on the Understanding Carers Workshop being run by National Carer Support Services on Monday 7th November. Do you have an iPad, iPhone, iTouch or an Android phone? Then you can get a free app that helps manage PTSD. This app is developed by the United States National Centre for PTSD. The DVA website has a new A to Z guide to help you find the information you want. National Carer Support Services is a national program for the veteran and ex-service community aimed at helping carers to enhance their own health and wellbeing while caring for others. On Monday 7th November, NCSS will be holding a 'Understanding Carers' Workshop for TIP Welfare Officers. This workshop raises awareness about the impact of caring for someone with an illness or health condition. Raising awareness enables the Welfare Officer to consider and suggest appropriate services and supports that might be helpful to the carer and person being cared for. There are limited positions available for this workshop so let me know asap if you wish to attend. The next CLIK CD update 2011-02, publish date of 04 October 2011, is now available for download from the DVA website. Note that due to the inclusion of CCPS Research Library updates, this CLIK CD update file is much larger than usual and may take a while to download. Mental Health Week is all about raising awareness of mental health and wellbeing in the wider community. In 2011 Mental Health Week will run from Sunday 9th October through to Saturday 15th October. The Department of Veterans’ Affairs (DVA) encourages the veteran and former serving personnel community to look after their own mental health and wellbeing and to provide support to those around them. Around 20% of Australians will experience a mental health problem at some stage during their lives, and this figure is the same within the veteran community, with 1 in 5 veterans with a gold or white card having at least one accepted mental health condition. Mental health issues have the potential to affect not only the ex-service member themselves, but also their families. At Ease is the department’s mental health literacy information package. 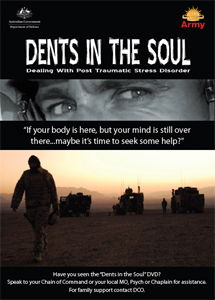 The At Ease mental health suite materials provide information for all veteran cohorts including contemporary veterans and their families about mental health. 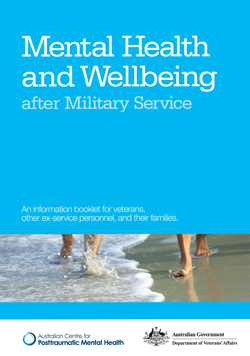 This booklet has been designed to provide information and advice for veterans, other former serving personnel, and their families, about mental health and wellbeing following military service. 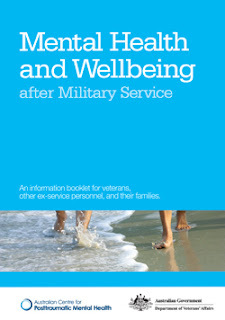 While the booklet contains information about mental health conditions that will help the reader to recognise any early signs of difficulty and know how to get help, it is also intended for those who are not experiencing mental health difficulties but want to generally improve their mental wellbeing. To help you maximise your sense of wellbeing, a section is included in this booklet on practical coping strategies that anyone might benefit from if facing difficulties in their lives. This booklet also provides links to other self-help resources, treatment agencies and networks of support for those who recognise they need further help. It is hoped that the information in this booklet will help you understand the challenges and difficulties you or your family members may be experiencing. To order a hardcopy of this publication, visit the online order form. The Temporary Incapacity Allowance (TIA) was removed from the Veterans' Entitlement Act 1986 (VEA) from 20 September 2011. From this date, any veteran or member who has a temporary period of incapacity due to treatment received for a war or defence caused condition will be encouraged to claim the Loss of Earnings (LOE) Allowance. 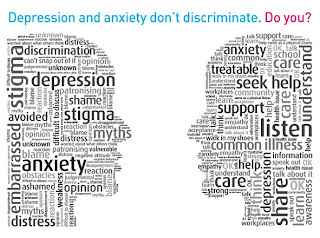 Depression and anxiety can affect anyone at any time. Often people won't talk about how they're feeling because they're worried about what others will think. 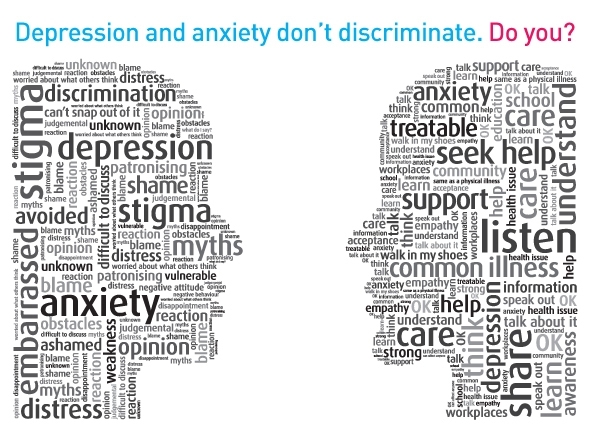 Don't let discrimination and stigma stop you, or someone else, getting help. Applications for the Service Delivery Integration (SDI) Grant are now open. The key objectives of the SDI grant are to improve the efficiency of delivery of pensions, advocacy and welfare services, to foster a collaborative approach and improve communication between ESOs, and to assist their operations to be sustainable into the future. The SDI grant provides an opportunity for organisations, regardless of the number and size, which have a common goal in helping veterans and serving members, to avail themselves of this assistance. It will provide an opportunity to review their current arrangements and identify improvements and efficiencies that will ultimately assist them to meet the reduced funding available for BEST Round 14. The grant is also available to ESOs that are already operating collaboratively as a centre or similar, as well as individual ESOs in regional or remote locations that wish to investigate opportunities for reducing costs and achieving efficiencies in their services. It is NOT compulsory to apply for an SDI grant. The Department has written to all BEST Round 13 applicants and National ESO Presidents, providing them with information about the SDI Grants. More information on the Service Delivery Integration (SDI) Grant is available on this link. Special recognition for Australians who experienced the harsh conditions of captivity during the Second World War and Korean War will be provided from today. From today, some 320,000 veterans, partners and war widows and widowers will now receive increased pensions and income support payments. Being a carer can be both physically and mentally demanding. Thursday 15 September, 2011 is R U OK?Day. 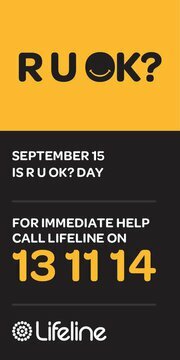 It’s a national day of action which aims to prevent suicide by encouraging Australians to connect with someone they care about and help stop little problems turning into big ones. On that day we want everyone across the country, from all backgrounds and walks of life, to ask family, friends and colleagues: "Are you OK?". Staying connected with others is crucial to our general health and wellbeing. Feeling isolated or hopeless can contribute to depression and other mental illnesses, which can ultimately result in suicide. Regular, meaningful conversations can protect those we know and love. Veterans' Health Week is from 24-31 October. All of the above SoPs will take effect from 31 August 2011. (These SoPs revoke the SoPs previously determined for these conditions). All of the above SoPs will take effect from 13 July 2011. These decisions were made on the grounds that there is no sound medical-scientific evidence available to justify an amendment. A Declaration of the decisions will appear in the Government Notices Gazette of 13 July 2011. The Investigation Notice for this investigation will appear in the Government Notices Gazette 13 July 2011.
establishment and ongoing care of Day Clubs and Men's Health Programs. Day Clubs are a community based, weekly program providing social interaction and a range of activities for older people in the community. They are open to both Veterans and non veterans who are generally socially isolated and unable to participate in other activities in their community. They are organised by volunteers who oversee the activities and operation and supported by Ex Service Organisations. They are not for profit organisations. From time to time we get enquiries fro people living within these areas who would like to avail themself of any programs that may be open to them. Currently within the Western suburbs of Adelaide there are no Day Clubs that DVA are aware of and I would be very interested in speaking to anyone who may think there was a chance of establishing one. possibilities of further please feel free to email or call me. the Defence Alumni Network, a social networking platform for ex-personnel was launched on July 4. Share stories, pictures and news with those you understand. Keep informed of Defence issues and news through the DAN media centre. Engage with old friends, plan a reunion through groups or learn more about others. From 1 July 2011 additional incentives will apply for veterans, war widows and widowers over the relevant pension age to remain in the work force. From 1 July 2011, changes to the Work Bonus Scheme will mean that the first $250 per fortnight of income earned by eligible service pensioners, income support supplement recipients and age pensioners paid by the Department of Veterans’ Affairs, will be excluded from the income test. Any unused amounts of the $250 exemption will accrue in a Work Bonus Bank, up to a maximum of $6,500, which can then be used to offset future employment income. “This Scheme is about supporting members of the veteran community to take-up some paid work or return to the work force, if they choose to, and alleviating concerns about how the extra income will affect their pension,” Mr Snowdon said. To be eligible, an income support pensioner must be of relevant pension age or over and be receiving employment income. Work can be casual or permanent, part time or full-time or any variation. Mr Snowdon said the Australian Government is committed to supporting initiatives that improve the financial welfare of Australia’s veteran community. “The Work Bonus Scheme was one of the improvements the Government made as part of its Secure and Sustainable Pension Reform package introduced in 2009,” he said. Defence have released the new 'Health Manual Vol 3 Retention Standards'. This gives an in depth view of recent changes to the Medical Employment Classification System (MECS) and explains the new MEC codes. This will be of interest to those of you processing MRCA claims. Dementia Care Australia (DCA) is an independent dementia information and education organisation specialising in supporting both people with dementia and their carers; be they family members, professional carers, employers or friends. Veterans' Health Week will be held the week of 24 - 30 October 2011 this year. This year’s theme is building on the strengths of the veteran community – mental wellness. DVA are working in partnership with ex-service and community groups to develop and fund a program of activities. Like previous years, Veterans' Health Week will encourage the veteran community to consider their health needs and provide suggestions for positive changes to live stronger, healthier and happier lives. The next CLIK CD compilation and update, May v.2011-03 available now! Detailed instructions on downloading and installing the update and amendments incorporated in this release are also available on the web page. Minister for Mental Health and Ageing Mark Butler today marked National Palliative Care Week 2011 by announcing an $8.6 million boost to improve palliative care support and services for patients, their families and carers. National Palliative Care Week (22-28 May 2011) aims to raise awareness about palliative care and the services available to Australians of all ages. (These SoPs are a new condition). All of the above SoPs will take effect from 25 May2011. malignant neoplasm of the small intestine…...… 40 of 2004 (as amended by 19 of 2010) & 41 of 2004. This decision was made on the grounds that there is no sound medical-scientific evidence available to justify an amendment. A Declaration of the decision will appear in the Government Notices Gazette of 18 May 2011. The Investigation Notices for these investigations appeared in the Government Notices Gazette of 18 May 2011. A copy of the Gazette notifications can be located here. Please note that the Mental Health Seminar scheduled for 07-08 June has been cancelled. The little black book of scams highlights popular scams that regularly target Australian consumers, such as fake lotteries, internet shopping, mobile phones, online banking, employment and investment opportunities. It offers consumers tips on how to protect themselves from scams, how to minimise damage if they do get scammed and how they can report a scam. A new Prisoner of War (POW) Recognition Supplement will provide former POWs with an extra $500 per fortnight in recognition of their special service and sacrifice. The Coordinated Veterans' Care Program is an enhanced primary and community care initiative that will provide additional support to Gold Card holders with chronic conditions, complex care needs, and who are at risk of hospitalisation. Providing ongoing planned and coordinated care from your GP and a nurse. Educating and empowering participants to self manage their conditions. Encouraging the most socially isolated to participate in community activities. The planned training in Darwin for October has been cancelled and a new suite of training is now scheduled for November. This will incorporate training occurring during the weekend to facilitate those who are unable to attend courses scheduled during the week. Please note that the Income Support Seminar scheduled for 19 May has been rescheduled for 26 May. Places are still available on this course if you wish to nominate. Compiled by Arthritis Australia, the Arthritis Accessibility Booklet is a fantastic little information booklet not only for those suffering Arthritis, but also for the older frail members of the community. It has some simple hints about how to go about everyday things with the least exertion on the body. A pdf copy of the booklet can viewed/downloaded here. A limited number of printed versions of the booklet are available for distribution amongst the ESO network. A Declaration relating to this decision will appear in the Government Notices Gazette of 23 March 2011. All of the above SoPs and decisions will take effect from 30 March 2011. The Investigation Notices for these investigations will appear in the Government Notices Gazette of 23 March 2011. Info sent by Bill Watts in Mount Gambier regarding an upcoming radio discussion on PTSD. I am writing to inform you of a special to be aired live this Thursday, March 24th on 612ABC (Mornings with Madonna King) from 8:30 - 10:30am in which you will hear Ms Louise Ryan, Prof Mark Creamer, other experts and myself discuss the impacts of military service on our families and society in general. As many of you will know I have been researching this very issue for several years and representing it at State and Federal levels through our research initiatives, training programs, community work and political lobbying. My PhD is a result of this effort. I urge you all to listen in one form or another. The Families After Trauma Foundation has expressed an intense concern over the lack of acknowledgement from government and military services regarding the impacts military service has on families, particularly the children being raised in these environments and contexts. We have written to the ABC and this special radio discussion is a result. I am highly confident the information broadcast will be of immense interest and benefit to most families with a military history. A new website to provide the ex-service community with access to important health and wellbeing resources. Confidential online mental health support is now available to ex-service men and women, their families and friends through the Wellbeing Toolbox pilot. The Wellbeing Toolbox is an online self-care resource that has been specially designed to cater for the needs of the ex-service community. Each topic is covered in a learning module that contains a series of informative panels and allows users to complete interactive tasks and worksheets. Visitors can choose to work through all six modules or can pick individual modules that are of particular interest to them. Most people thinking about suicide signal their pain and intentions––they offer us opportunities to respond. This is the prevention opportunity. Suicide first aid learned in ASIST can help all of us see, hear and respond to these invitations. It prepares us to work with people at risk to increase their immediate safety and get further help. ASIST applies in everyday situations with family, friends, co-workers or teammates and in professional roles or volunteering. - facilitate links with further help. Interactive learning is stimulated by teaching and audiovisuals. Small groups increase opportunities for discussion and skills practice. Attendance at both days is essential. An ASIST workshop is being conducted in Adelaide on 29-30 March. There are still some vacancies on the Pension Basic course being held 22-24 March. Get your nominations in if you wish to be on this course. Applications for BEST Round 13 are now open will close on 11 March 2011. It is still expected that the funding for approved grants will be paid in early July 2011. The 2011-12 BEST Application Form and the BEST Guidelines, which now includes the Guide to Completing the Application Form, can both be downloaded by clicking here. Detailed instructions on downloading and installing the update and amendments incorporated in this release are also available on the above webpage. A Summary of Changes: SoPs 1 - 16 of 2011 is available to be downloaded.